Horner Farms is a well established farming operation, located in the southeastern corner of New Mexico . It is in the heart of the Pecos Valley . 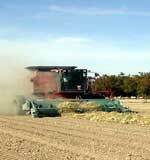 In business since 1947, Horner Farms consists of two thousand acres of alfalfa, eight hundred acres of Pima Cotton, eight hundred acres of Upland Cotton, and three hundred acres of pinto beans. This is a total of four thousand acres of agricultural production. A family partnership, Horner Farms consists of partners, Maxine Horner, Ronald Horner, Patti Horner, Robert Horner, Pam Horner, and Kern Horner. The farming operation is managed by Robert Horner, Ronald Horner and Kern Horner. The main cash crop grown by Horner Farms is alfalfa. Local dairies offer an ideal market for this crop. Alfalfa is an excellent cash flow crop because there are many cuttings during a growing season. 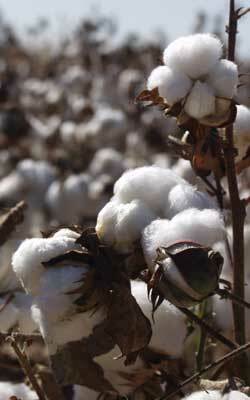 Pima cotton is a bright light in the textile industry across the southwestern United States and the Pecos Valley . It has a unique, silk-like quality that is capturing a large portion of market share in the garment industry. Upland cotton, on the other hand, has seen better days. The collapse of the textile industry in the United States has taken a toll on the Upland Cotton market, and has left many farming operations searching for something to grow other than Cotton. Horner Farms is planning to make pinto beans that replacement crop. In 1981, Horner Farms suffered a devastating hail, destroying a large portion of their cotton crop. In desperation, Horner Farms planted pinto beans to try to salvage something from this catastrophic situation. The beans did very well, and established a very lucrative market in the southeastern corner of New Mexico . From 1981, until 2004, Horner Farms has grown from forty to eighty acres annually. 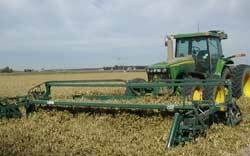 In 2005, Horner Farms increased their acreage to three hundred acres of beans. The objective is to increase the acreage for pinto beans to 1000 acres of beans. This would eliminate Upland Cotton from the crop rotation. This will be a projected increase in pounds from 600,000 lbs. to 2,000,000 lbs. 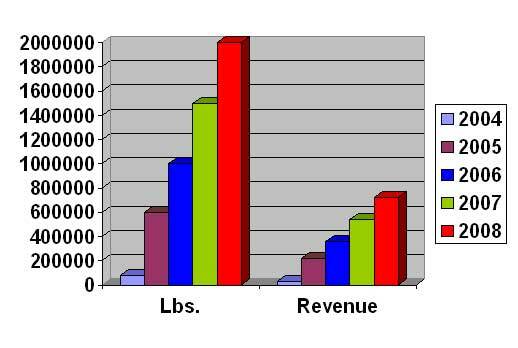 This equates to increased revenue of $216,000.00 to $720,000.00. To market this crop, Horner Farms is targeting three main consumer groups. The first group would be the local customer. This option is preferable because the sales would flow directly out of the bean processing plant. This market is the most attractive because of the direct sales advantage. There is a market pool of about 100,000 people in the surrounding area, and pinto beans are a staple food for many. The second group would be wholesale distributors. There are numerous distributors in the area who provide pinto beans to restaurants and commercial venues. Negotiations are underway with Affiliated and Nobel Cisco for wholesale distribution throughout New Mexico for the Horner Beans. The third targeted market would be the grocery stores in the surrounding areas, including the four existing Super Wal-Mart stores. Pinto beans are used in many native and cultural dishes in this area, and there is a high demand for this food crop, especially when it is sold fresh from the field. While there are many pinto beans sold in Southeastern New Mexico , there are not any beans grown in this part of the state. 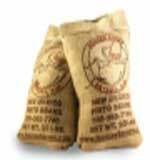 Horner Farms is the only source of fresh grown pinto beans in the southern half of New Mexico . This gives Horner Farms a huge advantage over their competitors when marketing their beans. In the past 20 years, Horner Farms has developed a reputation for good quality beans, in the surrounding area. Another growth area will include the capability of providing a bean processing facility for other regional bean growers. There is only 1 processing facility in The State of New Mexico. Horner Farms will be the second facility in New Mexico and can process an additional 1,500,000.00 lbs. per year adding other employment opportunities.